Gardai are appealing for witnesses to last night's assault. A 22-YEAR-OLD man is in a critical condition in a Galway hospital after a vicious assault early this morning. Gardaí say that a fight broke out between a number of young people outside a fast food outlet on Shop Street at about 3.30am. During the altercation, a 22-year-old man suffered a very serious head injury and was knocked to the ground unconscious. Gardaí and paramedics treated the young man at the scene before he was taken by ambulance to University Hospital Galway. His condition is described as critical. Gardaí are now appealing for any witnesses or anyone who may have any information about the incident to come forward. 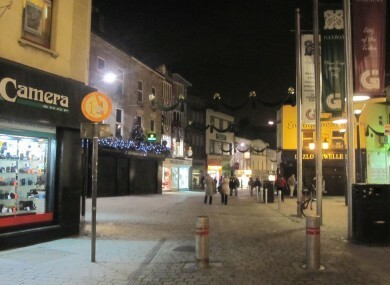 Email “Young man critical after late night assault outside Galway fast food outlet”. Feedback on “Young man critical after late night assault outside Galway fast food outlet”.